This product contains a breakout, hyperdoc, and choice board. Also sold separately. 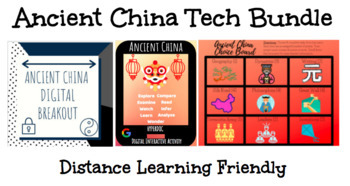 This activity includes 9 activity squares that address different multiple intelligences based on the study of Ancient China. 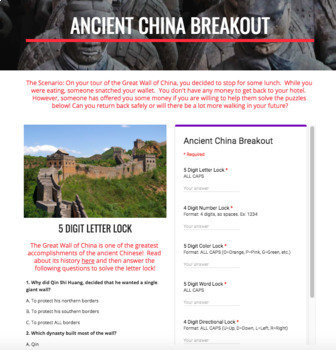 This menu of activities can be used as a formative or summative assessment of China. 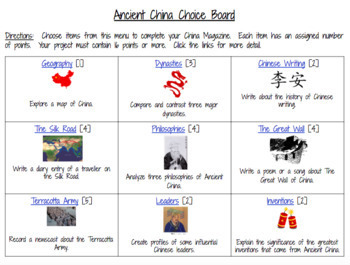 It includes ranked activities by points and a variety of activities that assess different aspects of Chinese culture. 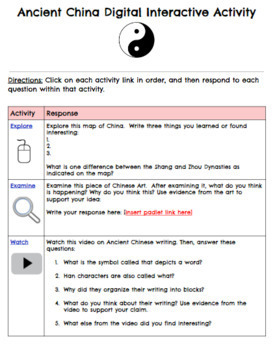 Activities can be modified for your group and/or unit of study. Includes grading rubric.